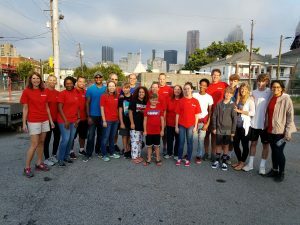 April 6, 2019 Volunteer Saturday – FTHP, Inc.
Did you know that Feeding the Homeless Project has 2 sites that we serve breakfast at? Most everyone knows about our Edgewood location. 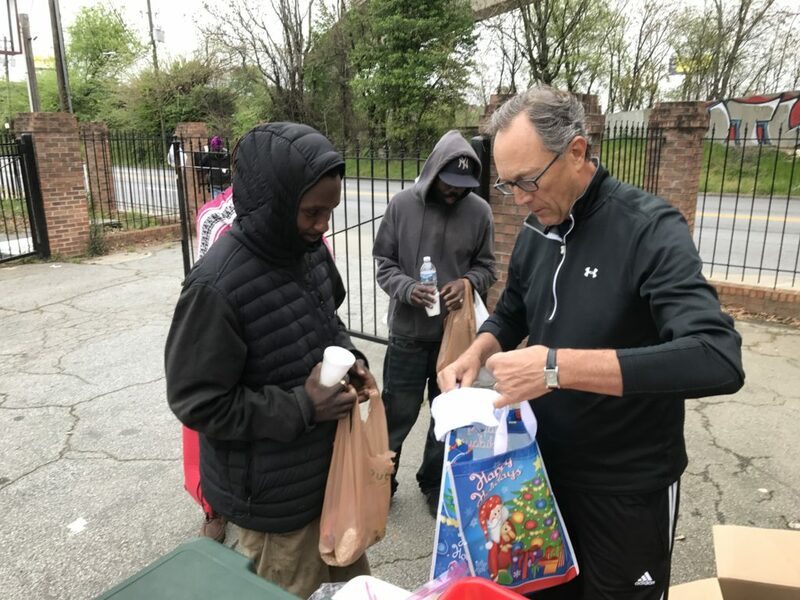 We serve a full hot breakfast every Saturday and everyone always want to serve there but few folks know that we also serve breakfast at another location not too far away over on Whitehall. 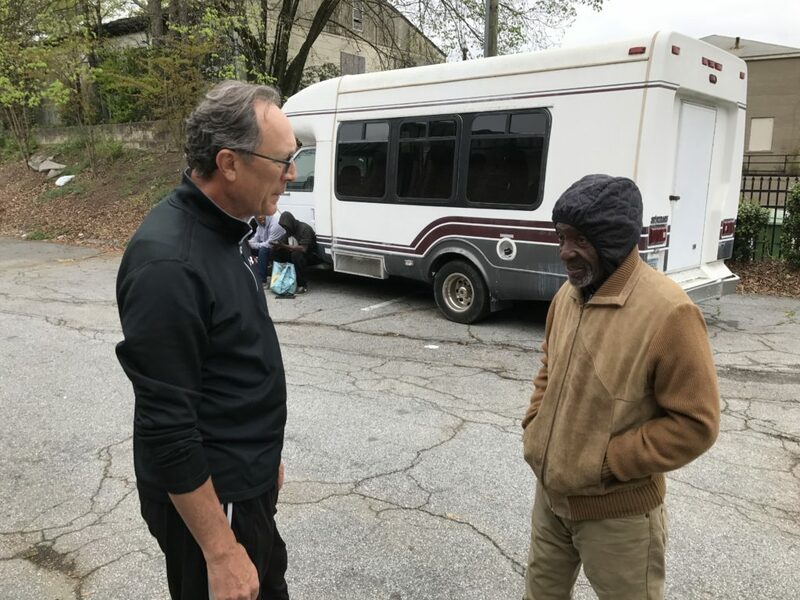 The men we serve over at this location are homeless but a different type of homeless. 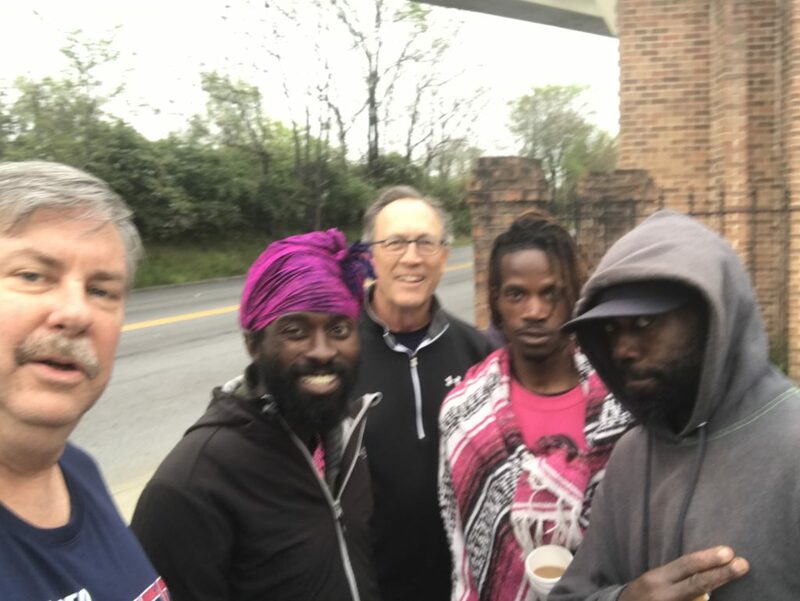 They sleep under the overpass, wear threadbare clothes, shoes so worn they really aren’t shoes they can walk in but each Saturday FTHP Team Leaders bring them breakfast sandwiches, fruit, coffee, orange juice and water to make it through the day. 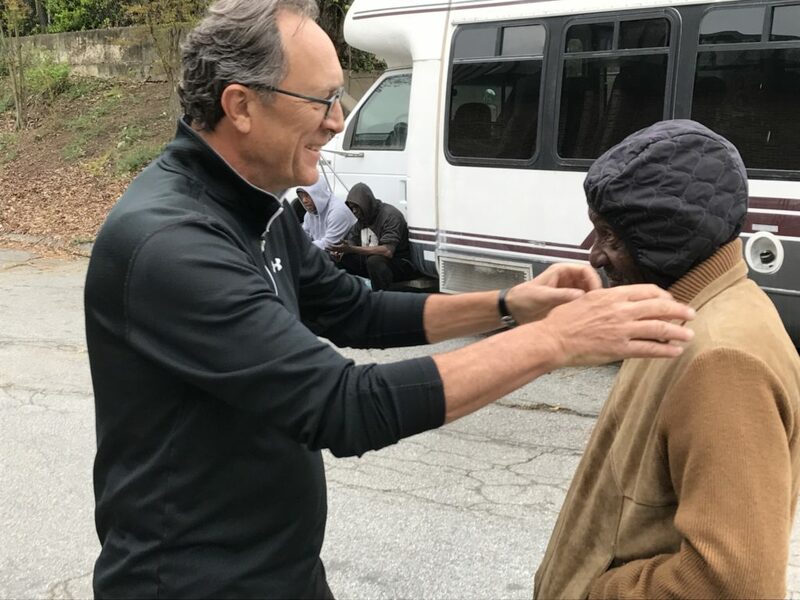 We spend a little more quality time with them, listen to their stories and offer a hand up. It is a totally different atmosphere but once you go, it is an experience you want want to repeat.